From the New York Times: "Bill Pere embodies the link between music and science"
om Music Connection Magazine: "One of the Top 50 Innovators and Guiding Lights of the Music Industry"
From a Band Manager: "The consultation you gave me was extremely useful and your advice is very insightful and practical." From a Parent: "You have made an impression on my little girl regarding helping and caring for others. She listens to your CD regularly and often quotes your words. You definitely brought a ray of sunshine to my daughter's life." From Entertainment Zone Magazine: "Your lyrics are haunting, powerful, and heart-wrenching...They really choked me up"
From the Founder of MusicDish Network: "In all the music conferences I've been to, I've never heard anyone talk about songs the way you do, with such insight and detail. I wish there were more of it." From a Middle-School Teacher: "I want to thank you for your presentation at our school. I am particularly pleased because one of the young men who was helping you had given up on education. Seeing your performance has made him rethink again that perhaps school isn't so bad after all." From President Bill Clinton: "Thank you for your song. 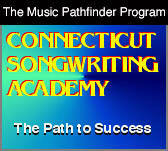 You and the young people you sing with are the future of our nation"
From Songwriter and Author John Braheny: "Bill is one of the few teachers to emerge in the last 20 years who understands all these aspects of songwriting and is willing to share the knowledge with others." 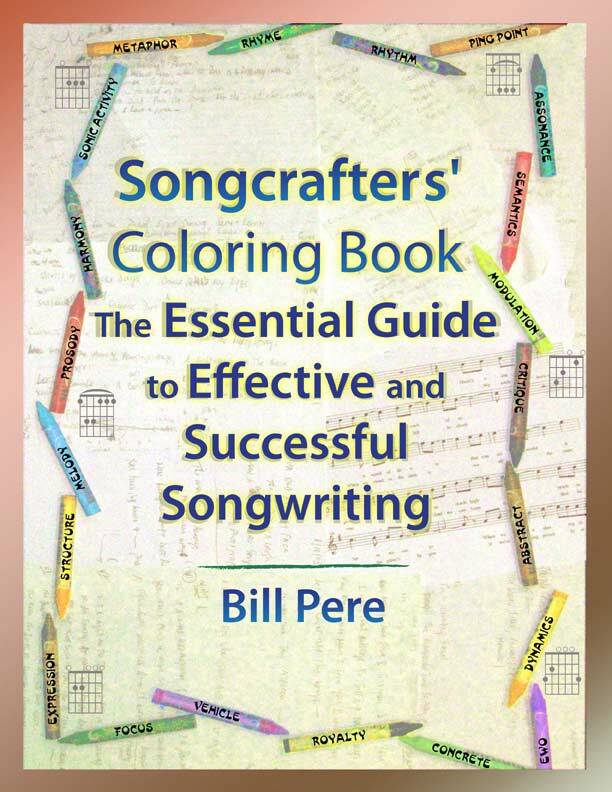 From Mary Dawson, Author of "How to Get Somewhere in the Music Business From Nowhere with Nothing": "Yours was the most coherent and practical presentation on songwriting I've ever heard, bar none". From University of Connecticut Department of Career Services: "Thank you very much for your participation in the University of Connecticut Media and Music Speaker Series . The event went above and beyond our expectations, from the full house, which included University professional staff whom were very impressed themselves, to the glowing review that the campus paper gave to your presentation. The phenomenal feedback continues as people are already requesting to view the DVD of the event. Without your involvement, the Speaker Series would not have been nearly as successful "
From a Social Service Agency Director: "I am always impressed with the leadership and innovation you have demonstrated in the area of hunger and with what LUNCH has accomplished in raising and distributing money for this cause. By involving youth in these efforts, it is a double blessing. You are the perfect example of how one person and a small group can make an enormous difference!" From a Grandparent: "My grandson and I listened to hours of your tapes on our trip. Your music really does bring peace and has such a deep understanding of young people and all people's inner feelings about themselves and others. Thanks so much for this ministry of yours with so many dimensions." From the Governor of Connecticut: "On behalf of the State of Connecticut, it is a pleasure to extend greetings and thanks for your remarkable contribution through LUNCH. I commend your efforts in the community and your dedication to helping the homeless. Your selfless commitment is an example to us all and an inspiration to the State of Connecticut. " From General Norman Schwarzkoff: "Thank you for the song and the support you've shown for our troops. If I ever come to your town, I'd like to meet you and all the participants who sang with you." 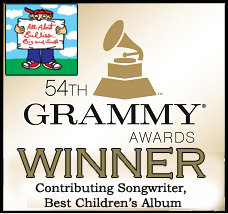 From the Publisher of InterMixx Magazine: "Bill is a legend in his home state of Connecticut"
From Parents Choice Magazine : " 'Donkey in a Ditch' [co-written with Les Julian] is the best children's song about a moral dilemma ever written"
From an Arts Organization Director: "Your 'Crest of a Wave' CD is just an incredible feat of Songwriting. It is truly moving, and a great work of art. From a Concert Attendee: "Your lyrics are incredible. They have the sophistication of the Broadway stage and I was deeply moved by the content. " From the Executive Producer of "Before Their Time" : I greatly admire what you have done. I see (your recordings) as a powerful suicide prevention resource. From All-Experts.com clients: This expert is ultimately brilliant. He helped me understand things that my other tutors could not make clear. From a LUNCH Participant: "I had a great time singing on stage. I love to be able to tell everyone that I sang at the Garde with the Steve Chapin Band. Thank you for the great pictures and certificate. I already have them framed on my bedroom wall. " From a Middle School Student: "You've shown me what it means to be part of a team and how much can be accomplished when people work together through music and drama"
From a Harry Chapin Fan: "I just wanted to drop you a line to say how much I enjoyed your concert at Cheney Hall. It was really a nice way for my son and I to spend an evening together. I enjoyed every one of your songs as well as Harry's which you stayed very true to. It's great to see Harry's legacy live on especially with the young folks. The world needs more people like you and Harry. " From a Harry Chapin Legacy Show Participant: "This was an experience I will never forget. I can't remember when I've ever had this much fun, and to know that it's helping needy people in our own community is the best feeling. Thanks so much!" From a High School Student: You may not remember me, but I remember you. When I was younger, you taught me along with countless others to appreciate music at Camp Wightman. I am now a junior at Palmer high School in Massachusetts and I am the Chorus Advisor for my grade. I hope to be on the way to Boston College in a couple of years and plan to continue in music as long as I can. Thank you for inspiring me." From a Middle-School Parent: " You certainly know how to talk to kids and make things interesting and fun for them. No easy feat at the middle-school age. " From a Singer-Songwriter: When I first heard "Teach Me How to Fly" I remember the tears in my eyes. I still cry when I hear it. From a teenager: "High School My School" is just a great CD -- I wish all my friends could hear it. It captures all the real stuff that goes on in our lives. From a Middle-School Teacher: "Today you gave the perfect lesson. Your multimedia presentation made all the material understandable and entertaining in a way that I could never accomplish in so short a time. " From an Elementary School Teacher: "They just sat there mesmerized for the whole time. I wouldn't have thought it possible. What a great entertaining and educational program. " From a Father: "I'm so glad I bought your CD. The song about the father and his son was very meaningful to me"
From a Teenager: "My life is not fun, but listening to your story songs and being part of your music program makes me forget about all that stuff for awhile "
From a Student Creativity Workshop Coordinator: You had 400 young people listening to you for two hours, and afterwards, the halls were buzzing with positive energy. You really inspired them and made them think. From the Editor of a National Music Publication: Your approach to teaching writers about collaboration is truly groundbreaking. From a Concert Attendee: "Your CD's are not just a bunch of songs -- they are musical cinema, and true works of art." From a Middle School Teacher: I use your CD's in class all the time. 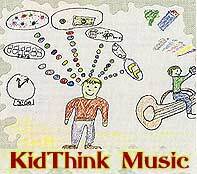 The way your songs combine so many different subjects makes them an indispensable teaching kit. From a Parent: My daughter wrote an essay about your program as an assignment for her class. You have made such an impact on her life. Thank you! From a Professional Songwriter: "Lots of people give their opinions of my songs, but yours is one of the few I really pay attention to"
From a Published Songwriter and NSAI member: Most of the songwriting articles that I have found on the internet are elementary, butI found yours to be insightful, challenging, and comparable to a graduate course for songwriters. Keep up the great work. From a First Grade Student: "Will you marry me?"